When you’ve scored a bid for a commercial project, the last thing you want to do is make mistakes that could lead to delays. Doing a good job on a commercial project can lead to other profitable projects that are on the same or higher scope of work, making your business quite successful. If you’re fulfilling contracts—commercial projects for that matter, you’re going to need two things: quality building materials and lots of them! What this means for contractors and builders is that plenty of storage space is needed to accommodate just one commercial project. You’ll need your own warehouse just to build others! Exactly What Kind of Building Material Should You Stock? Well, everything that’s necessary of course! But when your stocking materials for commercial projects, one of the materials you definitely don’t want to fall behind on are the marble tiles. Marble tiles play an important part in the progress of your building project because it serves as a progression point where clients can actually see how far along the project has come, and it when it comes to installing any interior material, it gives them the assurance that the project is almost done. Even though you may have put hundreds of hours installing the plumbing and electrical wiring, clients may appreciate that because it’s a necessity. However, it always seems to be the luxuries that people tend to have a more outward appreciation for, and marble is one of these luxuries. Marble is an organic stone that is beautifully crafted deep within the earth. Made primarily of limestone, this rock will actually melt if enough heat and pressure is placed upon it. The heat actually comes from deep within the earth and the pressure is formed through movement of tectonic plates. Once this occurs, the organic fossil matter melts along with the limestone in addition to other minerals embedded in the earth. All of this molten organic mixture gets swirled together and then crystalizes during the cooling process once it slowly moves away from the intense heating and the pressure stops. This is a process that can take years to complete, but when it does, people will need to mine it to get it. This is one of the reasons why marble is so expensive. The manpower it takes to access such material can be costly. In order for distributors to earn a profit, they have to raise the price of the marble in order to accommodate the expense of mining it and transporting it to their own warehouse. That’s why builders and contractors need to make sure that they’re getting quality marble tiles at the best price possible. The mistake that some builders may make is going too cheap with their marble tile. Oftentimes, this means that you may not be getting what you paid for, especially when shopping online. 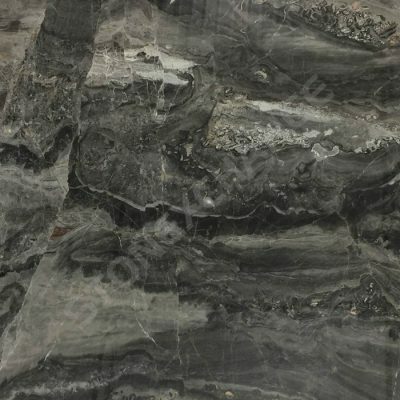 While you might be able to find a marble wholesaler near you, they may not be able to offer the lowest price and if they can, you’ll need to look into exactly how much of that particular type of marble they have left, because sometimes, the cheaper natural stones might be the inventory that wholesalers are liquidating because it’s going out of stock. This is exactly what you don’t want to buy when you’re in the commercial building business. Commercial dwellings usually require a uniformed look. So even if you come up short by a few square feet, and need to fill those walls or floors in with another kind of marble tile that’s similar, it might be frowned upon by the client because they’re investing a small fortune in these commercial projects and as a result, expect flawless results. Should they receive anything less than that, you could be risking the reputation and future business projects for your company. So to avoid all of this, the best plan you can make is stocking as much marble tile as possible. If you think you have enough, order more, but first, you need to find the right marble tile wholesale distributor. Nalboor Tiles is located in Miami, Florida in the city where the ports are readily available for us to receive exotic natural stone from overseas on a constant basis. What this means for you is that with Nalboor Tiles, you’ll always have a shipment of marble and other natural stone tiles available to you to ship to your warehouse at a moment’s notice. You’ll not have to worry about waiting months on end for your bulk of marble tile to reach the United States. All you have to do is call Nalboor at 305-501-4548 or place your order online and we can ship your tile out to you right away. If you’re unsure about what kind of tile to buy, order a free sample from us so that you know exactly what you’re investing in. So contact us today and order your free sample now.